Hello dear artists and readers of the DrawingForAll. We decided to draw everything related to the home interior, so we already made the lessons about the tap and bath. 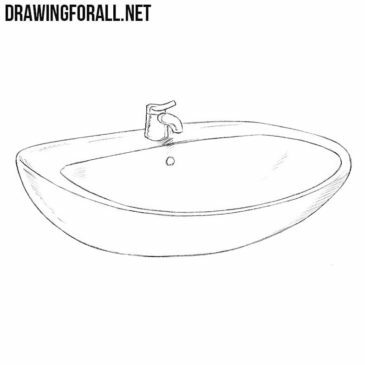 Hello everyone and welcome to DrawingForAll. We have a lot of different drawing lessons about good, such as an apple or an orange. Hello dear artists and welcome to DrawingForAll. 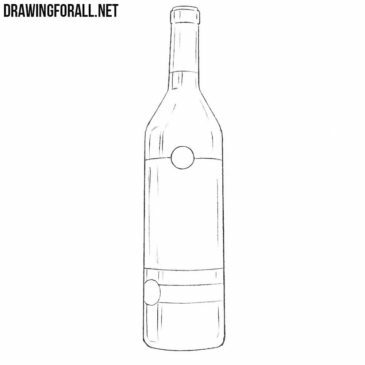 In this drawing lesson we will show you how to draw a bottle. So, let’s not delay the beginning and start this drawing lesson. Hello dear artists. 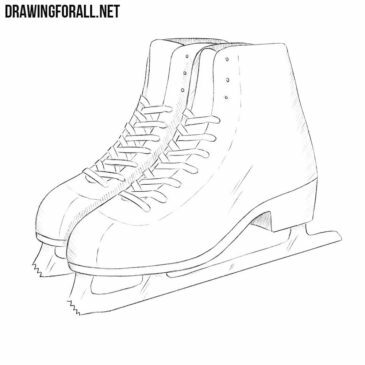 In this drawing lesson, we’ll show you how to draw ice skates. 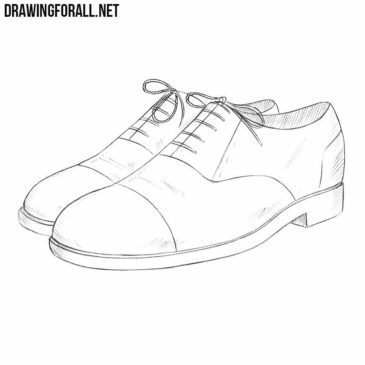 Hello, dear artists and welcome to the drawing lesson in which we will tell you how to draw shoes. 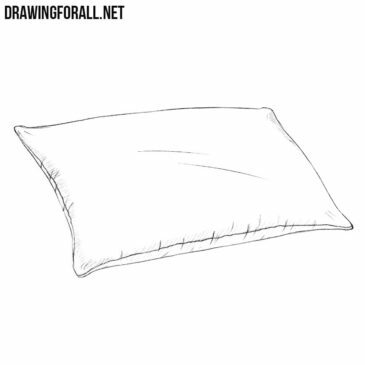 Hello dear artists and welcome to a drawing tutorial on how to draw a pillow step by step. Hello dear artists. 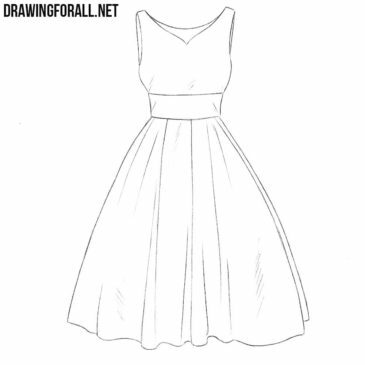 In the last lessons we drew a lot of clothing items, such as boots and sneakers, and this drawing lesson will also touch the topic of clothing. Hello dear readers. 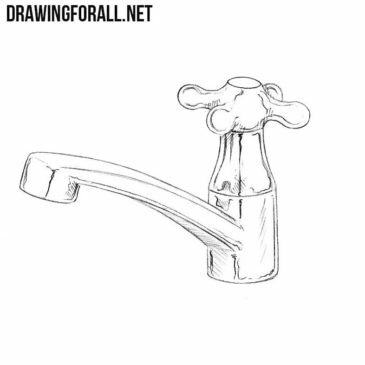 In one of the previous drawing tutorials we showed you how to draw a tap. 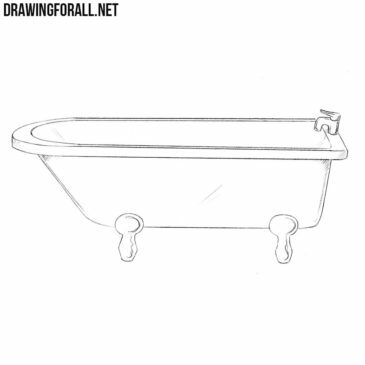 In this lesson we decided to show you how to draw a bath. 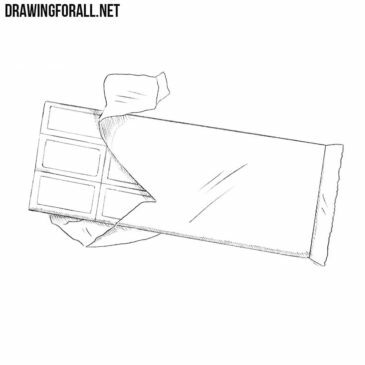 Hello everyone and welcome to DrawingForAll. We very rarely draw something about an interior of a house, and in this lesson we decided to correct it. So meet a drawing lesson on how to draw a tap. Hello dear artists. In the previous drawing tutorial we showed you how to draw boots. 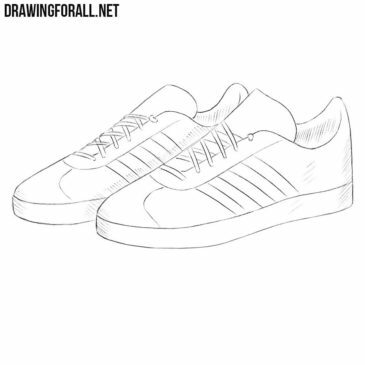 We think it was pretty interesting and in this lesson we decided to show you how to draw sneakers.